The Parliament of the Wallonia-Brussels Federation unanimously adopted (with two abstentions) the project of Open Access Decree supported by the Minister of Higher Education and Research, Jean-Claude Marcourt, aiming at establishing a policy of free access to scientific publications. The text of the decree stipulates that all scientific articles subsidized by public funds must be deposited in an institutional directory. Institutions will also need to use only lists of publications from these directories for the evaluation of researchers. Open Science: the key to more scientific integrity? 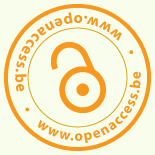 Today, the Flemish Government department EWI organized a Focus meeting about Open Access. The meeting was intended as a follow up of last year’s Open Access meeting, where the Brussels Declaration on Open Access was presented. Bringing together all stakeholders one year late, aim of this meeting was to bring together all stakeholders again and defining (future) Open Access policies in Flanders.